The building on which a mural of Colin Kaepernick was painted in Atlanta has been demolished on Super Bowl weekend. Fabian Williams, the artist who painted the mural, posted a video of the site on social media on Friday, two days before Atlanta hosts Super Bowl 53. NFL player Kaepernick started kneeling during the US national anthem in 2016 to protest against racial injustice. Williams, who is also known as Occasional Superstar, said: “the timing is mad suspicious”. It is not known who was responsible for the demolition. Kaepernick’s protest developed into a movement as many other NFL players followed suit and in May the NFL announced that teams would be fined if players continued to kneel during the national anthem. Kaepernick, who played for the San Francisco 49ers at Super Bowl 47, remains without a club after the 31-year-old quarterback left the 49ers in March 2017. 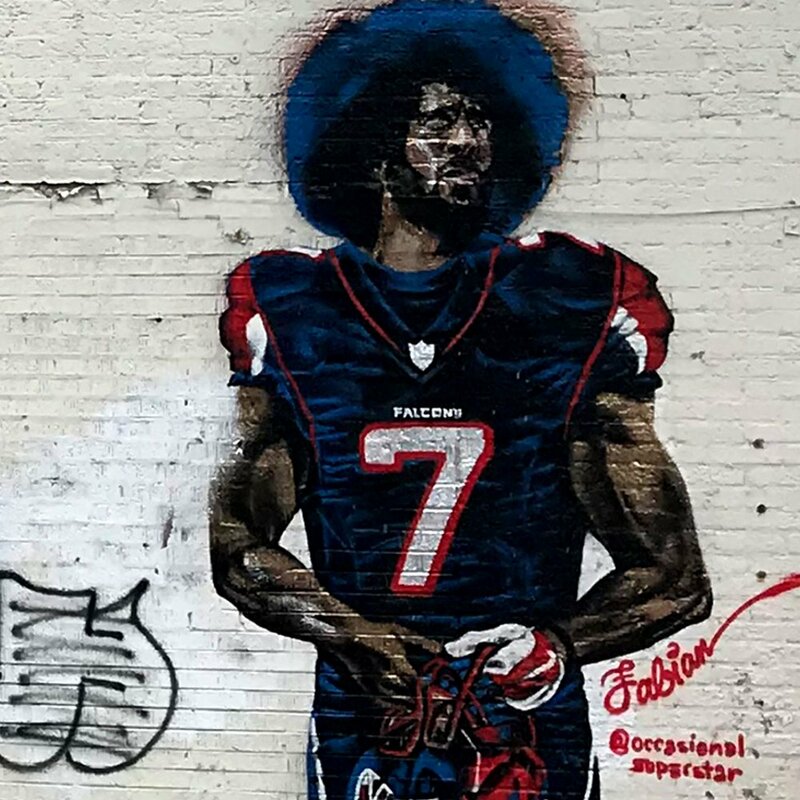 Williams painted the mural, which shows Kaepernick in an Atlanta Falcons uniform, on an abandoned building in 2017. There was a fire there six months ago but the wall, which had been used to promote albums, parties and movies, remained intact. Williams spoke to the BBC last week outside the building, which is about a mile from Mercedes-Benz Stadium, where Sunday’s game between the New England Patriots and the Los Angeles Rams will take place. The wall also featured a Williams portrait of Muhammad Ali as T’challa from Black Panther.